The developers of BSD Router Project have made available version 1.92. BSD Router Project is an Open Source router distribution based on the FreeBSD operating system. 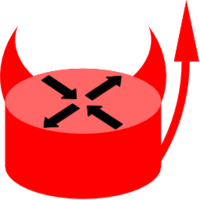 Notable changes are FreeBSD 12 upgrade, fixed frr rc bug, dhcp6, x86info, and several upgrade packages such as openvpn, tmux, iperf, and others. You can download the latest version here.